Every Scottie has a story, and Heather and Mr. K have decided it is time we open up the floor to other Scottie Moms eager to share their Scotties' inspirational tales. We've noticed a lot of our Scottie friends like Kyla, Fergus and Finlay have not been feeling well lately and we thought, what better way to cheer them up than by giving them a little Scotspiration! 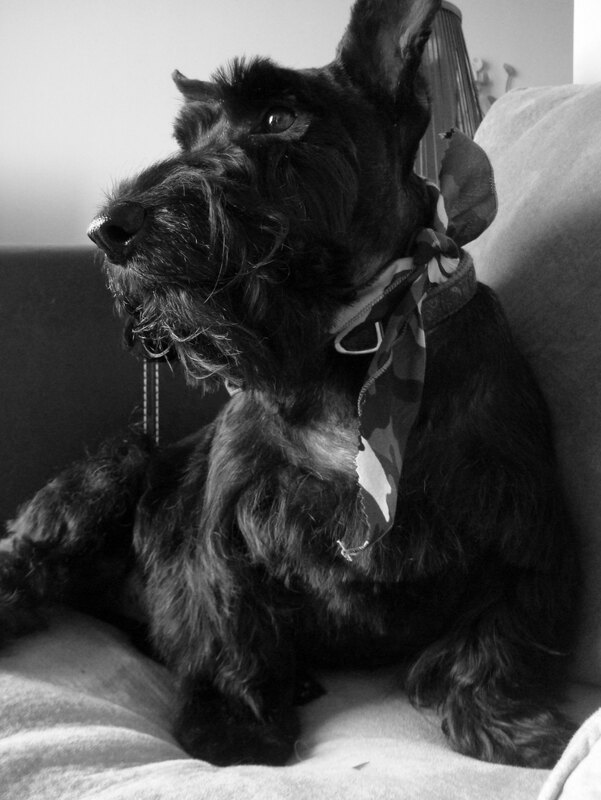 Know of a Scottie who brightens the world one tail wag at a time? How about the hero Scottie who protects his hoomans from the likes of dust busters and vacuum cleaners? Did your Scottie defy the odds and defeat illness or fought a brave battle that taught you a valuable life lesson? We want to hear about these Scots! Send us an email to thescottiemom(at)gmail(dot)com and tell us about your inspirational Scottie(s). Be sure to include your Scottie's favorite picture as well. We'll be sure to post some Scotspiration at least once a week to keep you going and to raise those spirits up! What a lovely idea. I know Finlay won't get better, but to read of other Scottie Moms going to the lengths of the earth to find treatments is inspirational, and to be accompanied by a beloved Scottie truly Scotspirational! What a fine Scottie! Proud eyes, the look of eagles. Bonnie approves. My Bonnie Annie Laurie is checking her head shots. Her people will contact your people. You are a terrific person for supporting our fellow Scotties and their mommies and daddies with this wonderful idea!! This makes me even more thankful to be part of such a tight-knit community!